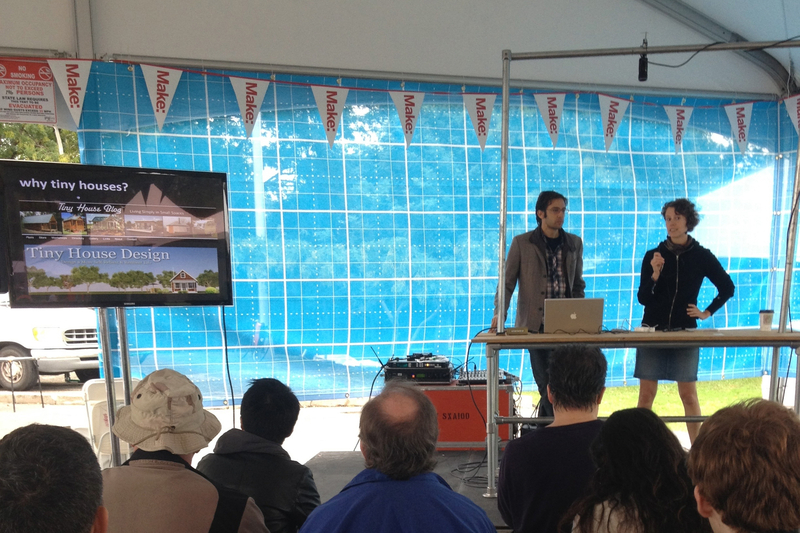 Brian and I went up to New York City last weekend to present at the World Maker Faire at the New York Hall of Science. It was a very inspiring (and overwhelming) event – think science fair, craft festival, a little Burning Man, and some TED-like talks all mixed into one event and that was Maker Faire. We presented on the creation of Boneyard Studios on Saturday morning and spent the rest of the day touring the event. Then he gave the example of Lego, who almost went bankrupt before developing lego kits. After the kits were introduced kids could make a specific thing: a train, a robot, a giraffe. But this worries him because kits aren’t about making; they are about knowing that if you put the pieces together according to the step-by-step instructions your product will turn out right or will work. By contrast, making involves learning by doing things wrong most of the time. Folks involved in the tiny house community should congratulate themselves for taking the risk to do something a bit unconventional. But I also would encourage us to experiment more. 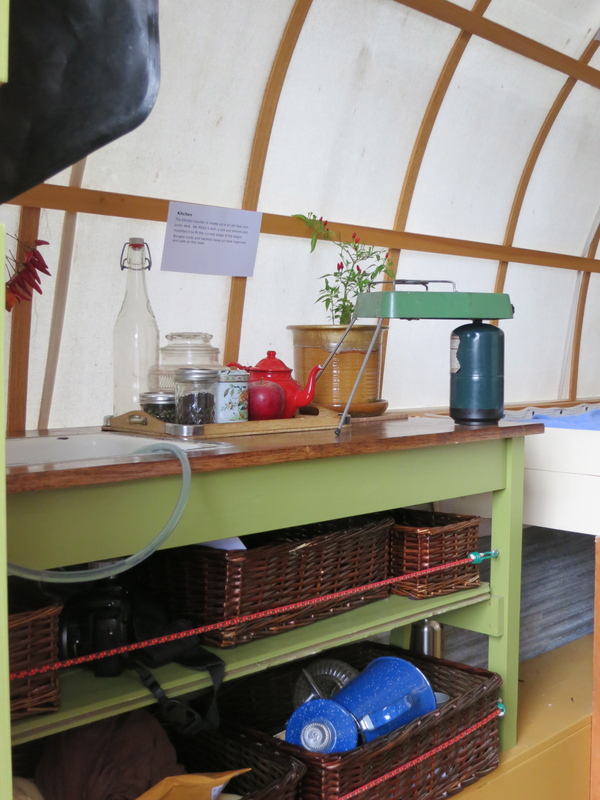 Many of us (myself included) want to buy plans, have all the pieces fit together perfectly, and have a formula for how to successfully build a tiny house. Yet we all benefit when we take risks and share new approaches with each other. As Seth reminded us in his talk “the internet wasn’t developed for you to watch another Justin Bieber video but to share what you are making and learn from one another” (paraphrased from his speech). No doubt in my mind that the tiny house community gets this as the number of blogs that have sprung up on tiny house projects is impressive and the sharing of ideas and approaches inspiring. You can watch Seth’s talk here. 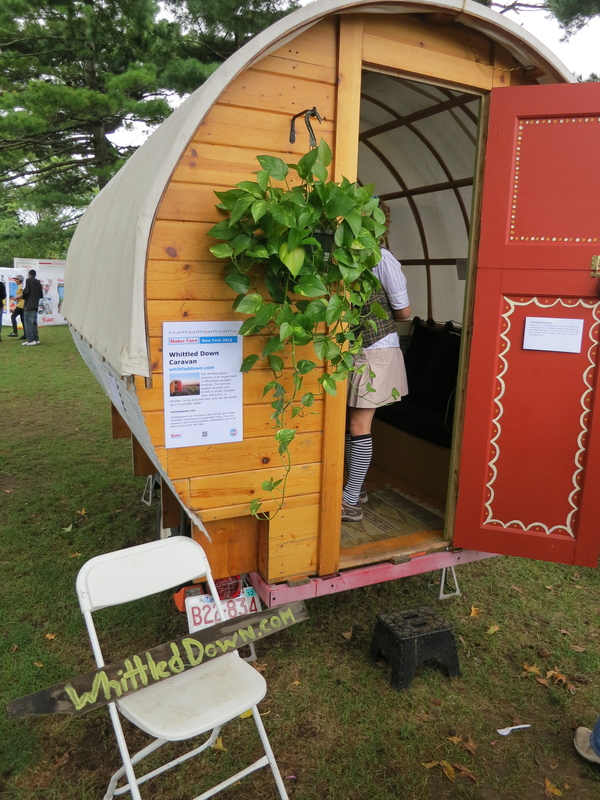 A Massachusetts-based couple were there with their whittled-down caravan made entirely out of salvaged materials for $1500. 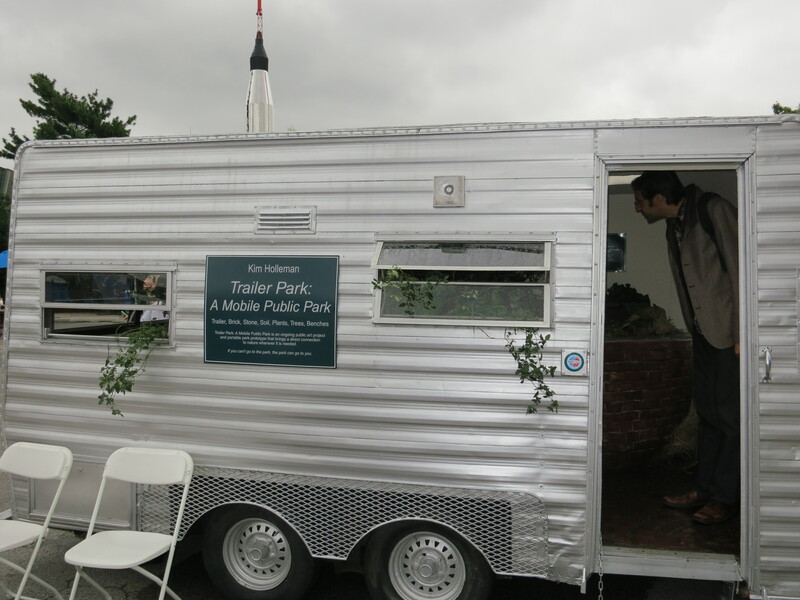 This mobile public park that has been cruising around Brooklyn provides a new take on the trailer park. 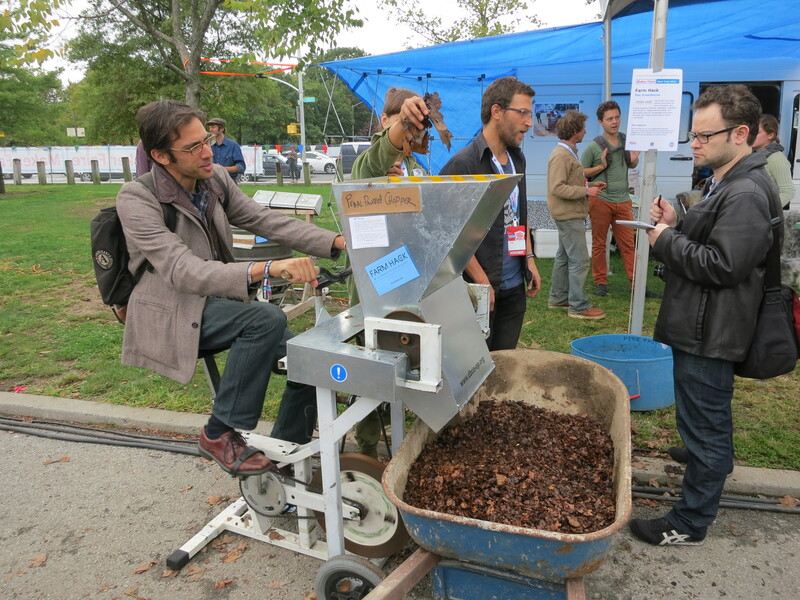 An initiative of the National Young Farmers’ Coalition called Farm Hack had some great DIY machinery, like this pedal-powered wood chopper, that they were showing off. We were impressed by the organizations working to put vacant land to use in the city. 596acres.org helps residents search for information about vacant lots in Queens and provides a roadmap of how to organize to put the lots to use for the community – mostly for gardens and urban farms. Made in the Lower East Side MiLES is an initiative that facilitates the transformation of vacant lots and storefronts in the Lower East Side, by listening, co-creating, and prototyping with its residents. After listening to an inspiring roundtable on the creation of Maker Spaces in cities across the Americas and talking briefly with the founder of 3rd Ward in Brooklyn, we decided to book a tour of the 3rd Ward space the next day – a great 30,000 sq.ft. 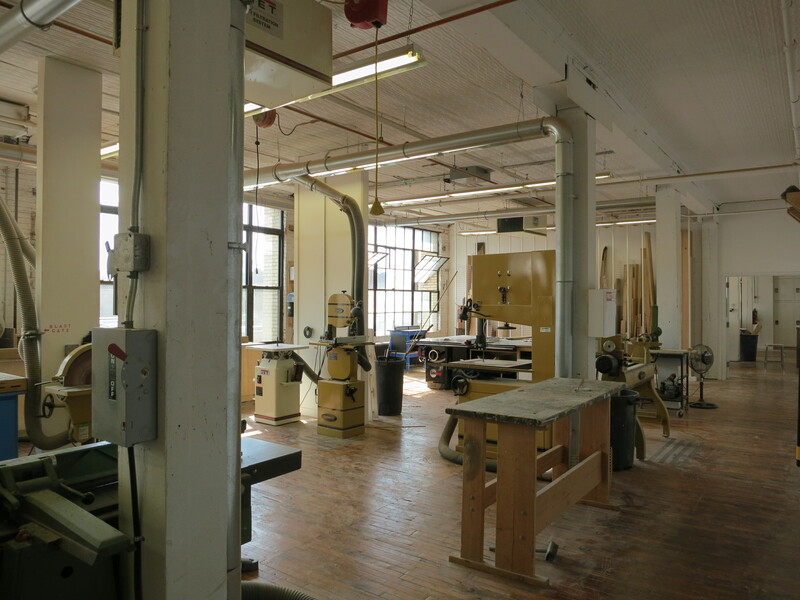 space in Brooklyn where you can work and learn in their wood shop, metal shop, design studio, jewelry studio, in addition to taking a number of other classes – over 100 a week! 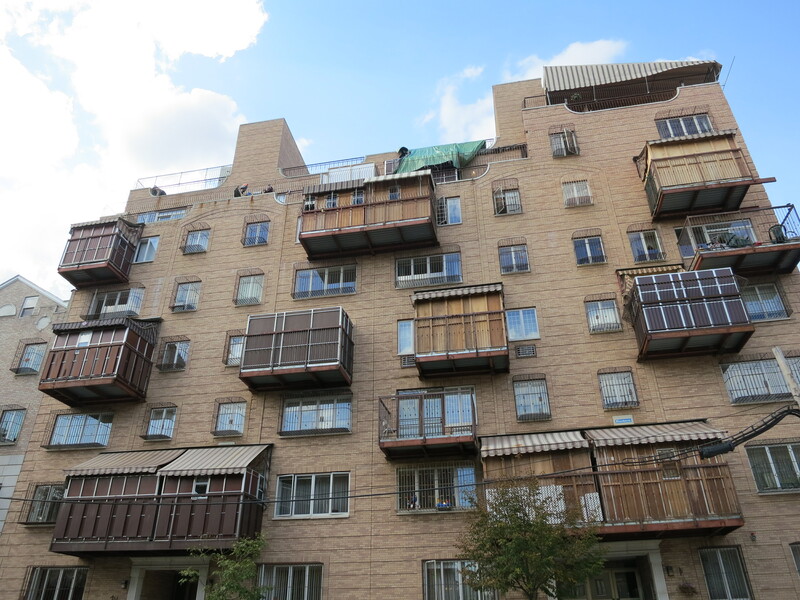 Finally, while walking through Brooklyn we were able to see many examples of tiny structures called sukkahs constructed for the Jewish holiday Sukkot. Instead of a tiny house on wheels on a piece of land in the West, how about a tiny house hanging off your apartment building in New York City? This link doesn’t work. I searched and found the article bit would have to pay to read..